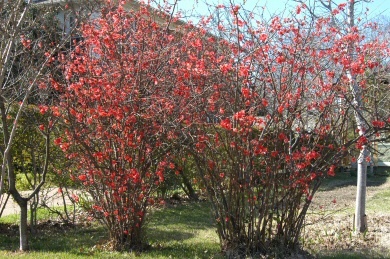 HABIT: First shrub to bloom each year in late winter. 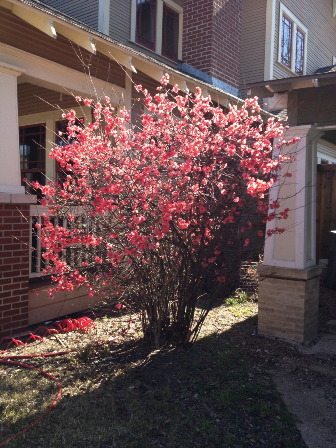 Flowers are various shades of red, pink, and white. CULTURE: Best in prepared beds but tolerates a wide range of soils. 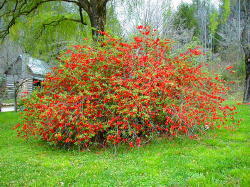 Will grow in sun or shade but blooms better in sun. Relatively drought tolerant. PROBLEMS: Leaf spot, chlorosis, heat. NOTES: I use this plant more as a source of cut flowers than as a shrub since it looks so bad in the summer months. Native to China. 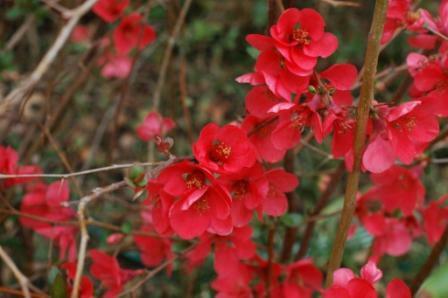 Common flowering quince C. speciosa is the larger growing variety.